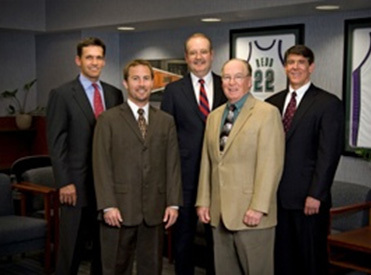 Due to its unique privilege of being the first practice in the State of Wisconsin to have a team of orthopedic surgeons working together as a medical corporation, the Milwaukee Orthopaedic Group has a longstanding and distinguished history of providing comprehensive orthopedic care to the community. The history of Milwaukee Orthopaedic Group began in 1961 when three highly respected orthopaedic surgeons joined together to form Stone, Kagen, and Jacobs S.C. This was historically significant as they formed the first medical corporation in the State of Wisconsin. As the practice grew, they were the first practice in the state to have groups of 3, 4, and 5 orthopaedic surgeons practicing together. Since the beginning, the group has maintained its central office in the downtown Milwaukee area. The evolving group decided to amend its name to Milwaukee Orthopaedic Group Ltd. in 1970. Four years later they moved into their current location at 1218 West Kilbourn Avenue, adjacent to Aurora Sinai Hospital. Joseph R. Stone M.D. retired in 1986 after 40 years of practice. He now resides in Florida and still volunteers his medical expertise at clinics for the underserved. Louis Kagen M.D. retired in 1989 after completing 37 years of service. Unfortunately, he has since passed on. Paul A. Jacobs M.D. was one of the partner from the original founders. His orthopaedic practice included the unique combination of sports medicine, general orthopaedics, and orthopaedic oncology. Dr. Jacobs, before retiring had been joined by 6 other orthopaedic surgeons in the Milwaukee Orthopaedic Group: Dr. Sullivan (1979), Wartinbee (1982), Davies (1988), Gertel (1989), Heinrich (1994), and Gordon (2003). The group has since added Jost (2012) and Khan (2017). Throughout the history of the group, they have been involved in research, and pride themselves in being current on cutting edge technology. The group is currently involved in significant studies involving joint replacement surgeries, and anti-coagulation medicines needed after major surgeries. Careful, scrutinizing consideration is taken before asking any of our patients to participate in these national studies. Milwaukee Orthopaedic Group Limited has been affiliated with major professional sports teams, college and high school teams. Beginning in 1970 with Dr. Jacobs, and the partners in the group served as Team Physicians for the Milwaukee Brewers Baseball Club until 1996. They have also been affiliated with the Milwaukee Bucks Basketball Team and the Milwaukee Wave. The physicians currently are Team Physicians for the Marquette University Athletics, Cardinal Stritch University, and the Badgerland Striders Running Club. The group continues to maintain a strong affiliation with the local high school programs. Our future goals are to continue to provide the best orthopaedic care possible. This is especially important to our group as we rely mainly on physician and patient referrals. We plan to continue to utilize to the fullest the specialized post-residency training of our surgeons in Sports Medicine and Joint Replacement surgery as well as general orthopaedics. We would also like to continue our involvement in the community through our commitments with high school, college and professional sports teams.